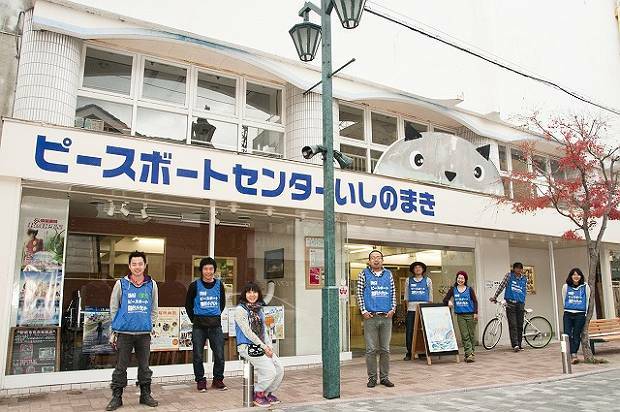 The Fukushima Youth Ambassadors have safely returned! The 12 junior high school students from Minamisoma City, Fukushima Prefecture who took part in the 2013 Spring Fukushima Youth Ambassadors project arrived back to Narita airport on April 1, 2013 after having learned about language, nature, sustainability and energy in Australia. From Narita they travelled by bus, safely returning to Minamisoma. The 8-day local program was very fulfilling and fruitful, thanks to the cooperation of Australia-side partner Japanese for Peace, the homestay families, and all others at the schools, farm, beach, wind farm, permaculture garden and other places visited during their stay. Along with announcing their safe return, we thank everyone that supported this project in many different ways. The reason Peace Boat’s Disaster Volunteer Centre was able to receive international volunteers from 56 countries and regions around the world is because of the presence of bilingual volunteers to support communication. We have also been working with the local municipality and other gruops in Tokyo to provide information in languages other than English to support people in the case of a disaster, including making the Spanish translation of the Assistance Manual for Foreigners in Times of Disaster, which includes information in around 60 categories such as where to go to get food during a disaster or where to submit necessary applications. 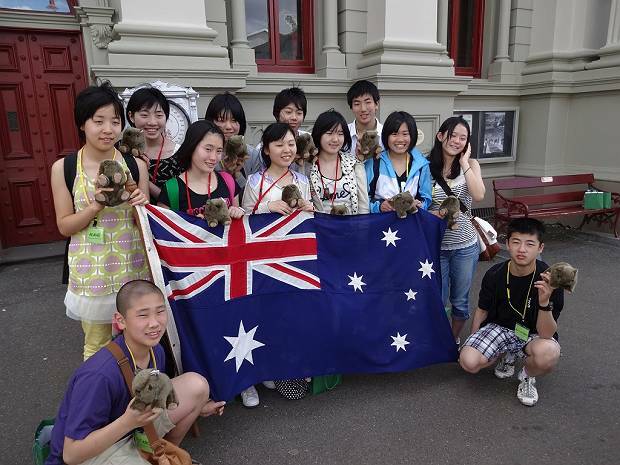 Fukushima Youth Ambassadors depart for Australia! The Fukushima Youth Ambassadors, 12 junior high school students (ages 13-14) from Minamisoma City, are departing for Australia today! The 12 youth will visit Melbourne for a programme of educational and cultural exchange with local students and citizen’s groups. This will be an opportunity to experience intercultural understanding workshops, learn about environmental issues through outdoor activities, and practise English. In this healthy, dynamic and creative environment they will learn new skills, enjoy new experiences and gain a fresh perspective on the future, invaluable to them as they struggle to consider the future of their disaster-affected community. The Hyogo Framework for Action 2005 – 2015 (HFA) is a 10-year plan to make the world safer by building the resilience of nations and communities to disasters. The HFA came out of the UN World Conference on Disaster Reduction 2005 (WCDR), a milestone event to increase the profile of disaster risk reduction (DRR). In the lead up to the UN World Conference on Disaster Reduction to be held in Japan in 2015, Peace Boat’s Disaster Relief Volunteer Center will be attending international preparative conferences to share our experiences and give recommendations for the post-HFA 2015 environment. 2013 has begun Peace Boat’s Disaster Relief Volunteer Centre’s respective projects are well underway. These projects all correspond to disaster relief, meaning that the project plan is being constantly reconsidered and revised as it is being implemented. It is important for our volunteers and also the organisation itself to remember to “think flexibly, and move according to the circumstances.” This report gives an overview of the main ongoing activities for 2013, including those which are now accepting volunteers, donations and other support. Following Hurricane Sandy which hit the eastern coast of the United States in October 2012, Peace Boat has supporting the ongoing efforts for relief and recovery. 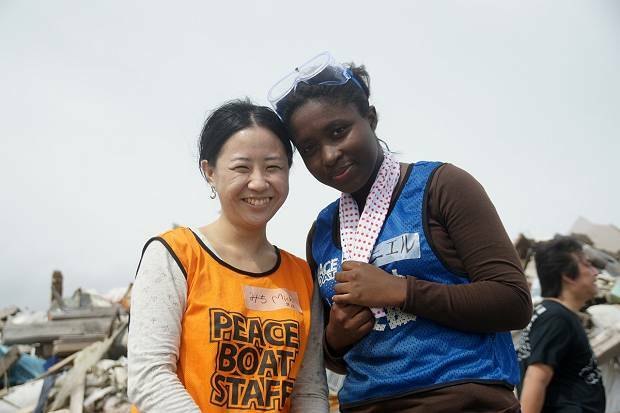 This support is continuing even through 2013, when the Peace Boat Disaster Volunteer Center (PBV) dispatched volunteers Riho Katsuta and Robin Lewis back to New York in January to continue the PBV Hurricane Sandy Recovery Efforts. 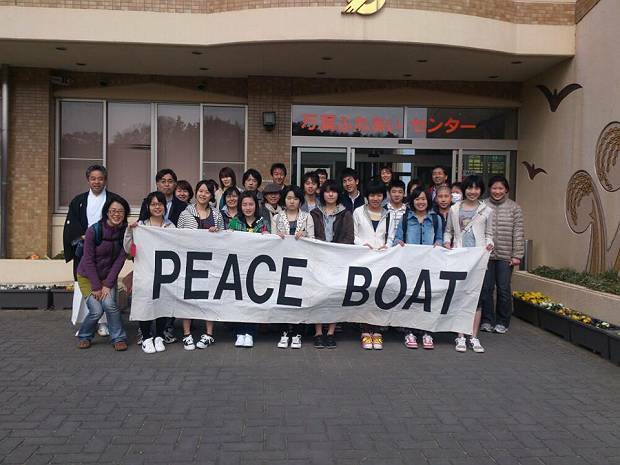 Both volunteers originally went to New York with Peace Boat in November-December 2013, assisting local disaster relief organisation engaged in the Sandy Relief and Recovery Efforts, WorldCares Center (WCC). 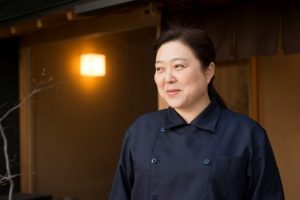 Riho and Robin have continued their dedicated work to assist the coordination of volunteers and operations of projects for ongoing support of affected populations in New York and New Jersey. Participants on Peace Boat’s 77th Global Voyage raised funds to support survivors affected by the 7.5 magnitude earthquake which hit Guatemala on 7 November, 2012. 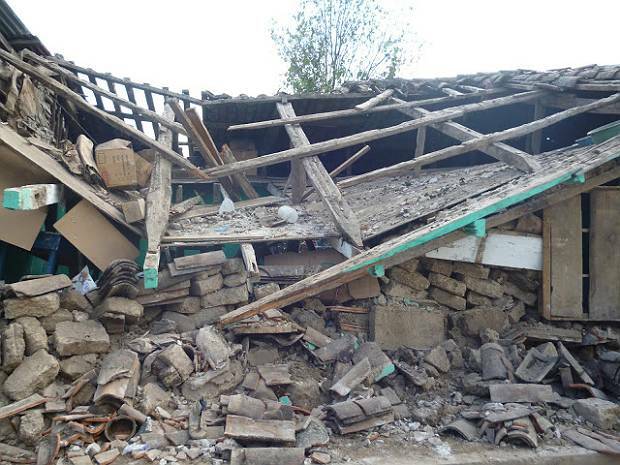 The funds will be used in coordination with local partner organisation CEIBA to assist in the rebuilding of housing for the Ixwuihuila Community.